A pause emerged. Angels passed, and I was able to explain to our Mr. Loveblood that “Kindle” — a Kindle — was one of several electronic devices through which people all over the world would be able to receive his message and that it didn’t have anything to do, except perhaps metaphorically, with starting a fire. Also I told him that I should have said his work would be coming out on e-books, which meant electronic books, and I apologized to him for my having used the word “Kindle” as a generic term and getting him all upset. “However,” he said, “They was Democrats.” Ever the master of the bon mot, Mr. Loveblood’s perceptive wires were hot. This review originally appeared in The Alabama Review: A Quarterly Journal of Alabama History, July 2011, Vol. 64, No. 3. Review by Leah Rawls Atkins, Auburn University. The Works of Matthew Blue: Montgomery’s First Historian. Edited by Mary Ann Neeley. Montgomery: NewSouth Books, 2010. xvi, 459 pp. $45.00. ISBN 978-1-58838-031-9. Anyone researching a nineteenth-century Alabama topic that touches Montgomery must consult Matthew Blue. Before the appearance of Mary Ann Neeley’s edition of Blue’s works, this was difficult because copies were rare and fragile. Finding who or what you were interested in without a comprehensive index, understanding all the facts and events, knowing the family and political interrelations of the people whom Blue mentioned were impossible for most researchers. Significant nuances were surely missed by those of us not familiar with the history and people of Montgomery. Neeley’s book places this history in easy reach with an index and copious annotations and notes. Blue’s text is in boldface type, and Neeley’s annotations follow in regular type. Her notes are placed by appropriate paragraphs on the outside margin of her book, which makes the scholarship easily accessible to the reader. Neeley, now retired, was the longtime director of the capital city’s living history museum, Old Alabama Town. She spent her life studying Montgomery, its people, and events. Taking more than a decade to complete the book, Neeley used numerous primary sources, especially the Blue family papers in the Alabma Department of Archives and History. Matthew Blue was born in a log cabin on September 24, 1824, on the hill where the Alabama capitol now stands. He died in Montgomery on December 20, 1884. In his lifetime, Blue was a mail clerk, the city’s postmaster, the publisher and part-owner of the Montgomery Advertiser, a columnist for the Montgomery Daily Post, a coroner, and secretary of the state senate. Most of all, he knew everyone, was a keen observer of people and events, and he had a sense of the importance of recorded history. Blue wrote an early history of Montgomery and compiled a list of events in the city, both included in the 1878 City Directory of Montgomery. His essay on church history was published in 1851, and his early study of the organization of the city’s churches was privately printed in 1878. Blue’s history and genealogy of the Blue family appeared in 1886, two years after Blue died. These works, along with the unpublished diary of Ellen Blue, are included in Neeley’s work. One strength of the book is the copious illustrations and photographs, which are fully explained in captions. The large number of names and the easy index will be an asset for genealogical and family researchers. Blue’s descriptions of many historical events in Montgomery have been the authority for much that has made its way into modern articles and books — General Lafayette’s entrance into Montgomery on April 3, 1825, and his reception “on the hill upon which the State Capitol now stands”; the fire on December 14, 1849, that destroyed the first capitol building in Montgomery; the city as capitol of the Confederacy and Montgomery during the Confederate period. Neeley’s edited and annotated volume of Blue’s works should be in major research libraries in the nation and included in most of Alabama’s public and academic collections. Collectors of Alabamiana will welcome this volume. 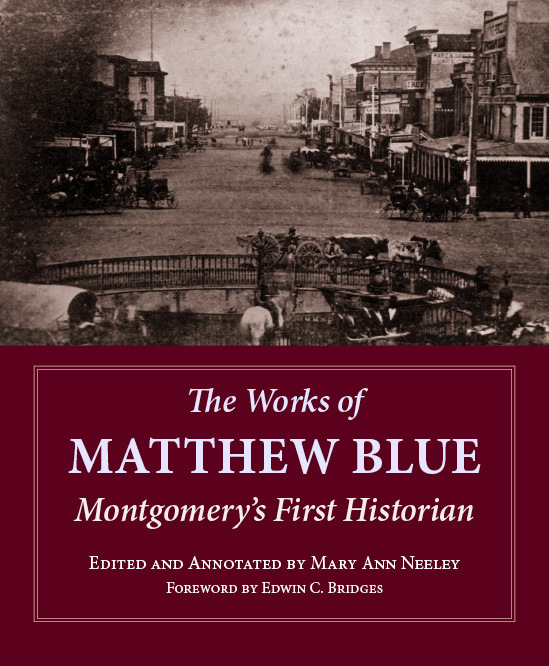 The Works of Matthew Blue, Montgomery’s First Historian, by Mary Ann Neeley, is available direct from NewSouth Books, Amazon.com, or your favorite book retailer. We’re only growing more and more excited for the premiere of Deadline, the new movie starring Steve Talley and Eric Roberts, and based on Mark Ethridge’s thrilling novel Grievances, in theaters in 2012. And now, the official Deadline trailer has finally arrived! In Deadline, young Nashville Times reporter Matt Harper begins investigating a decades-old civil rights murder, risking his life against forces that want to keep the truth hidden. Author Mark Ethridge’s novel Grievances is based on true events, and borrows heavily from Ethridge’s long career as a reporter and editor. Watch the Deadline trailer on YouTube or learn more about the film at DeadLineFilm.com. Grievances, by Mark Ethridge, is available in hardcover and ebook formats from NewSouth Books, Amazon.com, or your favorite book retailer, and on all major ebook platforms. 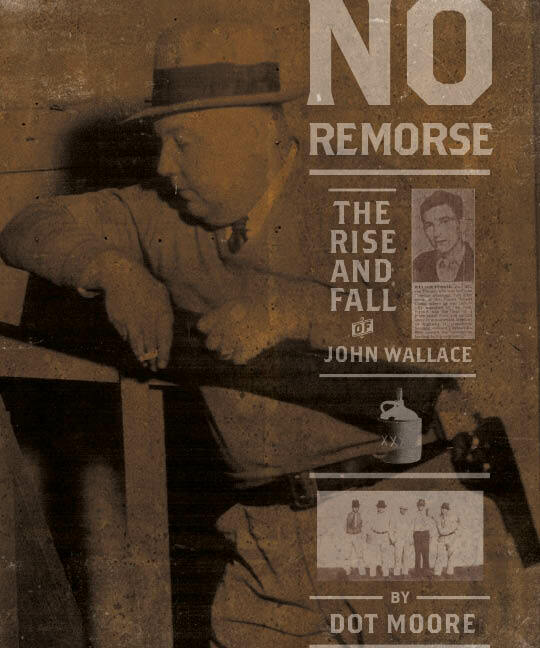 Aileen Kilgore Henderson will return to her alma mater, the University of Alabama, on September 20 for a book-signing celebrating publication by NewSouth Books of Eugene Allen Smith’s Alabama: How a Geologist Shaped a State. This book has been a labor of love for Henderson, who spent 10 years researching and writing it, with much of her work being done at the Hoole Special Collections Library where she will speak. 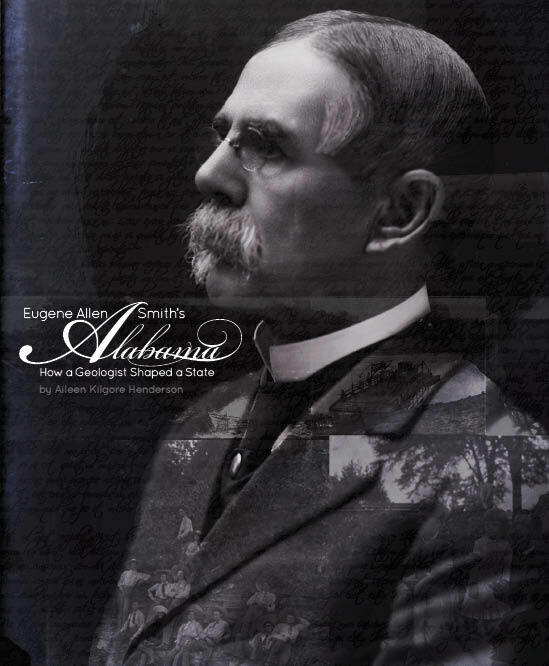 Eugene Allen Smith was for fifty years Alabama’s state geologist. Until his death in 1927 this gifted man devoted his abundant energy and stout heart to the welfare of Alabama. What he accomplished, against monumental odds, became the catalyst that transformed the state from a poverty-stricken agricultural land to an industrial giant. Aileen Henderson’s book — based on Smith’s letters and field notes and gorgeously illustrated with the photos he took — is the first to that chronicle his significant contributions. After pursuing a career as a teacher and author of children’s fiction, Henderson returned to the subject of Eugene Allen Smith, discovering that his journal was rich in history not only about Smith as a man, but about the state he worked tirelessly to promote. Aileen Henderson will speak and sign copies of Eugene Allen Smith’s Alabama at the Hoole Library on September 20 at 5:00 pm and at the Tuscaloosa Library on September 29 at noon. She is scheduled to speak at the Tuscaloosa Public Library, the Birmingham Public Library, the LaFayette Public Library, and at other libraries around the state in the next few months. Eugene Allen Smith’s Alabama is available from NewSouth Books, Amazon.com, or your favorite retail or online bookseller. The full article on Heflin’s induction is available at the Times Daily website. Learn more about the Alabama Men’s Hall of Fame at the Samford University website. 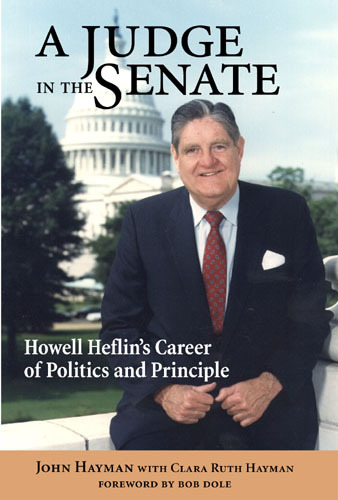 A Judge in the Senate: Howell Heflin’s Career of Politics and Principle is available direct from NewSouth Books, Amazon, or your favorite book retailer. Final judge Paul Nelson, former Director of the Ohio University Creative Writing Program and award-winning author of six collections of poetry, selected Rigsbee’s book. Nelson said that it was the most “unique and fully realized” of the candidates. Rigsbee will be the featured reader on Poetry Day, and his work will appear in the Council‚Äôs annual awards anthology Bay Leaves. Rigsbee edits for The Cortland Review and has received fellowships and prizes from the National Endowment for the Arts, The National Endowment for the Humanities, the Academy of American Poets, and the Pushcart Prize Anthology. Amongst his 18 books and chapbooks, Rigsbee’s collection The Pilot House won the 2009 Black River Poetry Prize. School of the Americas is due out from Black Lawrence Press in 2012. Recently Rigsbee and his wife Jill Bullitt, the painter, discovered “Jill’s Toes,” a poem about Jill by her mother Carolyn Kizer. In 1985, Kizer won the Pulitzer Prize for her poetry volume Yin. Constantly struggling against the patriarchy, Kizer taught poetry at the University of Iowa, Washington University, and Stanford University and translated Japanese, Chinese, and Urdu poetry. She also acted as first director of literature programs at the National Endowment for the Arts. “Jill’s Toes” was published for the first time in the spring/summer 2011 issue of the journal Poetry Northwest, which Kizer co-founded in 1959. After being moved and suspended, Poetry Northwest has been revived and now has offices at Everett Community College in the Puget Sound area. Bullitt’s passion for art and Rigsbee’s dedication to poetry carry on Kizer’s legacy. 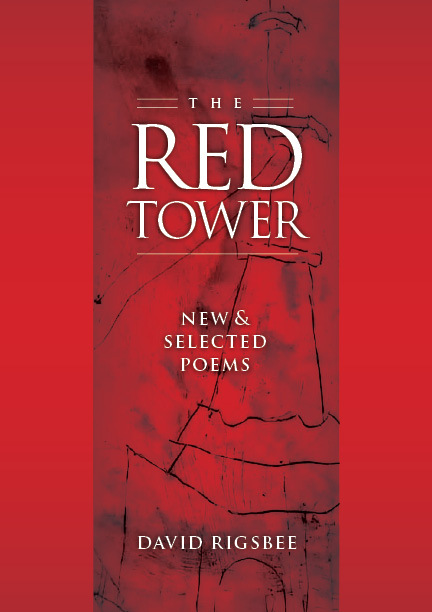 David Rigsbee’s The Red Tower is available from NewSouth Books, Amazon.com, or your favorite retail or online bookseller. 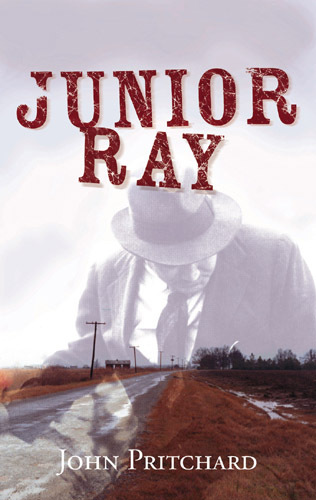 You are currently browsing the NewSouth Books weblog archives for September, 2011.